Dell World has been humming along this year, and we’ve all been caught up in the excitement of keynotes, sessions, announcements and activities on the Solutions Floor. It’s hard to believe that today is the last day! In all the flurry, I wanted to make sure you had a chance to catch up on one of our most exciting announcements. Yesterday we announced the Dell PowerEdge FX2, a modular and flexible converged infrastructure solution. Ashley Gorakhpurwalla, VP and GM of Dell Servers, kicked things off with his announcement blog post. Blogs from Brian Payne and Kevin Noreen gave a closer look at the converged infrastructure technology and management story. Jeff Baher provided a closer look at the FN-IOA offering on the FX2. Ravi Pendekanti got a chance to chat with Tim Smith from AppNexus, an early adopter of FX2, about how the solution is helping them accelerate their business. 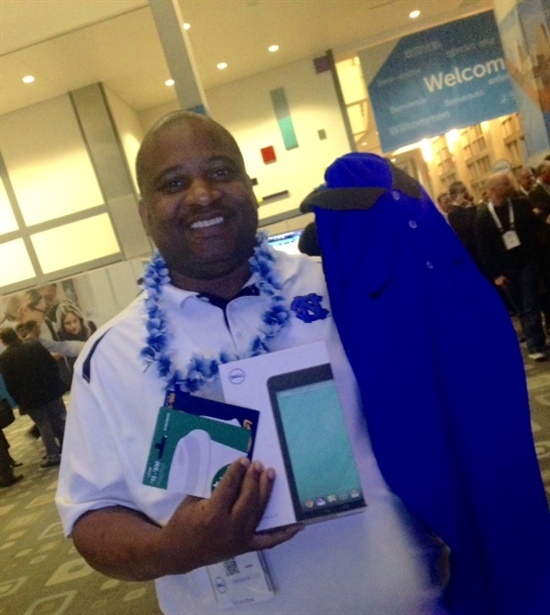 If you were here at Dell World, you might have participated in the #FX2 scavenger hunt on Twitter, co-sponsored by Intel. Congratulations to our lucky winner, Lovell Martin, who walked away with a Venue 8, an Intel golf shirt, an Amazon Gift Card and a Starbucks Gift Card. Way to go, Lovell! There will certainly be more to come in the following months as we continue to talk to customers who are using FX2, and share their stories with you. Be sure to follow us on Twitter to keep up with everything happening at Dell Servers and Dell Converged, and I hope we get to see you next year at Dell World 2015!